Mohammedan Sporting Club were lucky to make it to the semifinals of the inaugural U-13 Youth League as Group B champions. 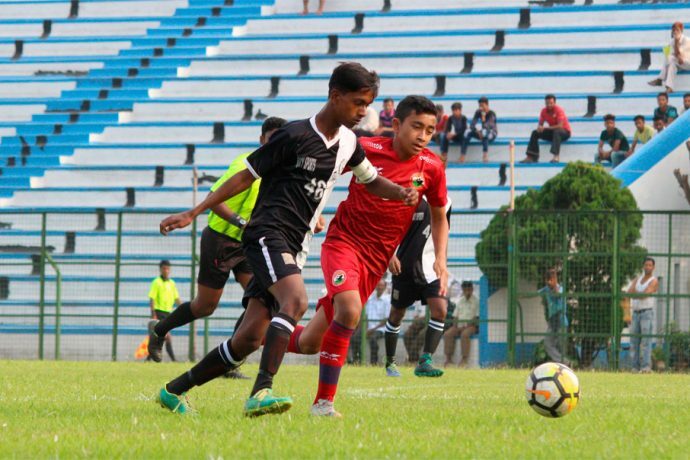 The Young Panthers, who beat Dempo SC 2-0 on the opening day, only required a draw from their final group game against Shillong Lajong FC at Howrah Stadium to earn a place in the semifinals, but ended up losing the match courtesy Gladdy Nelchen Kharbuli’s 43rd minute strike. However, the Ananta Kumar Ghosh-coached side sneaked into the final four thanks to a better goal difference as all three teams finished on 3 ponits with Lajong have been left to rue missed opportunities. Mohammedan SC will face SAI East Zone, who qualified as the best second-placed team, in the semifinal on Sunday at Howrah Stadium.